Do you enjoy playing lotto? 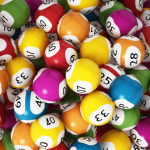 Want to know more about other lotteries like Powerball, Oz Lotto or Lucky Lotteries? Then look no further. 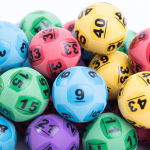 Lotto Numbers is all about giving you the latest results, news and other information about Monday & Wednesday Lotto, Oz Lotto, Powerball, the highly anticipated Lottery Superdraws and the year-ending Megadraw, and all other types of lotto games in Australia every day of the week. 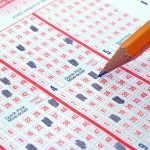 We will also teach you how to play each type of lotto, your odds of winning for each game type and tell you the history of the different lotto games in Australia. If you have any questions about the games, such as how many numbers are picked for each game, how do you know if you’ve won, or what to do when you’ve lost your account’s password, we have a FAQ to help you out. It gets even better! We also publish the latest winning lotto numbers and supplementary numbers for Monday & Wednesday Lotto, Oz Lotto, Powerball, Saturday Lotto and Lucky Lotteries on our home page. It also comes with each draw’s date and specific draw number, so that when you do win, you’ll know for sure. Every Monday and Wednesday you can play Gold Lotto. Both draws have the same rules, you need to match the 6 winning numbers in a single game to win the division one prize. Read more about Monday & Wednesday Lotto. Tuesday nights is the weekly Oz Lotto draw. Unlike Gold Lotto, you need to match all 7 winning numbers in a single game to win division one. Read more about Tuesday Oz Lotto. The Powerball draw is held every Thursday night. To win Powerball you have to get all 7 winning numbers from the first barrel, plus also have the Powerball from the second barrel. Read more about Thursday Powerball. Every Saturday night is another Gold Lotto draw. For more chances to win throughout the year the prize pool is boosted to a minimum of $20 Million for Superdraws.